Every week I’ma bring you some recommendations from recent additions to our inventory here at Exploded Records in Juiceland at 45th and Duval. I have great taste. You should trust me. 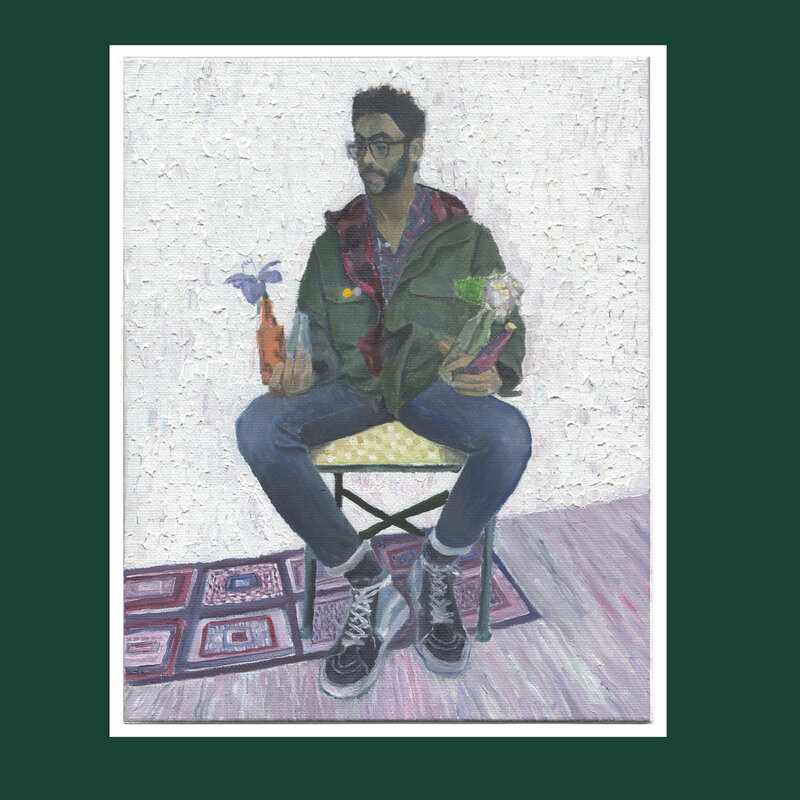 Scallops Hotel is the alias of Wisconsin-based rapper milo, formerly of Hellfyre Club and presently of Ruby Yacht. The milo projects are well-known for their verbosity and obtuseness, a fact he himself references repeatedly. Scallops Hotel, though, is a hypothetically more humble endeavor. He strips down his language and handles most of the production himself. He’s called this project his “imaginarium“, a place to play with lower stakes than a release under his main name. Side project isn’t quite right, since Scallops isn’t low-priority, exactly; it’s just not the flagship. The recording circumstances aren’t ideal. The mixes are a bit sloppy. It feels DIY — because it is DIY — but it doesn’t want to be anything else. The songs are low fidelity and the words are anything but. “Understand: anxiety’s the dizziness of freedom.” The beats bang off-kilter with gently plinking melodies, nervous, hopeful, and pleasantly indulgent. Your dad’s voice makes an appearance on the record, and he has no time to explain why his voice is different, but he loves you, and sometimes it’s good to be reminded of that. The second track is a collage lullaby. The fourth is a poem by Henry Dumas. Scallops Hotel feels no loyalty to your idea of what a rap album is. That sense of confrontation comes through in the writing, too: “Don’t come around talkin bout your skills / You should demonstrate / Don’t come around talkin bout you hunt / Where’s the dinner plate? / Don’t come around talkin bout you on / You been late” and “To your left is a big pile of dead rappers”. The man himself stopped by the shop during SXSW to deliver a breath-taking live set that involved calling out members of the audience by name, cursing his contemporaries, and applying enough delay to his voice for one bystander to say they really enjoyed his “airplane noises”. He also dropped off some vinyl of this here record. Blockhead’s been one of the strongest down-tempo hip-hop producers around for nearly twenty years. He first drew attention for his work with Aesop Rock, including the legendary underground hit “Daylight.” His first solo endeavor, Music By Cavelight expanded the style he used on Aes’s breakout, Labor Days, into something a bit more instrumentally narrative, foregrounding individual instruments as surrogate-Aesops to compensate for the MC’s absence. The result was breath-taking, and when I mention instrumental hip-hop to someone who’s “not super into it”, Music By Cavelight comes up quickly, either as something they’ve encountered, or something I’d recommend. Aesop and Blockhead haven’t collaborated much since 2007’s None Shall Pass, but Block has continued pumping out solo records in that time, as well as collaborations with other rappers (2013’s Dour Candy with Billy Woods, as well as an entire cycle of records with Illogic, and a few one-offs here and there). Blockhead’s affinity for heavily layered samples taken from records problematically sequestered to the “international” section of the record shop or a similar corner of Bandcamp has spawned a sea of biters who can’t keep up with his masterful sense of sound-putting-together-ness. On Bells and Whistles, Blockhead abandons his label of over a decade, Ninja Tune, in favor of a self-release (record labels have been consistently backing away from sample-based music for years now; Block’s just another casualty there). The new record is not a dramatic break from the style he’s stood by in his solo work for the past few years. However, the compositions have gotten somewhat denser and more eccentric (as one might expect from the explosion-of-horse-masks album cover and song titles, including “Beach Blanket Blood Bath,” “Fire Is Warm,” and “Sacrificial Santa”). 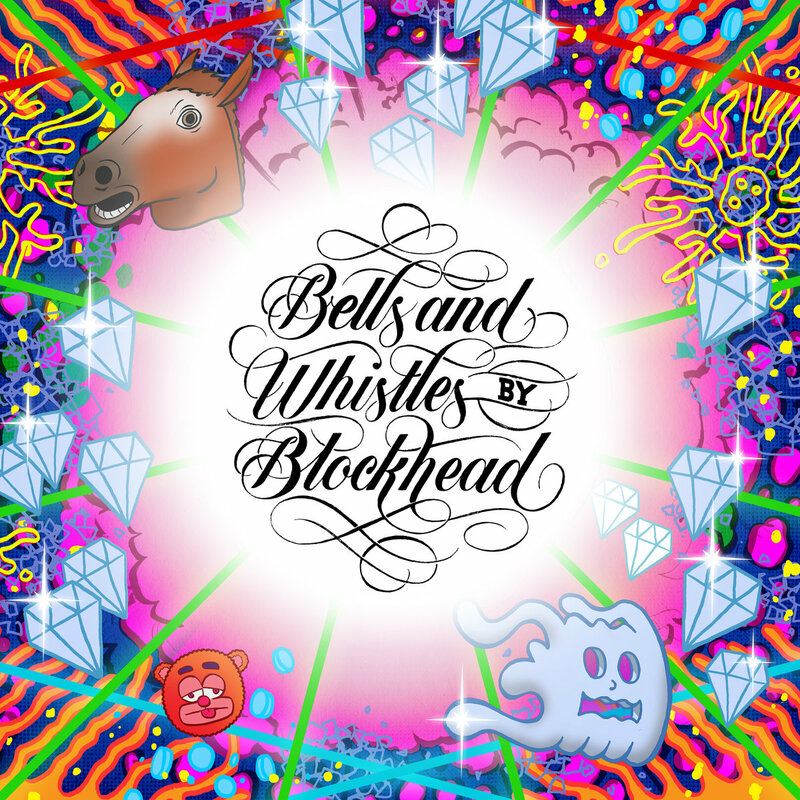 The whimsical turn on Bells and Whistles has actually changed my perspective on Blockhead’s previous releases. Imagining them as playful, rather than as DARK and MOODY (as they were previously marketed) helps to lighten the tone, without detracting from the gently melodic, down-tempo atmosphere. MF DOOM is one of the greats. Through his solo work (Operation Doomsday, MM FOOD), his collaborations (Madvillainy, Danger DOOM), and his aliases (King Geedorah, Viktor Vaughn), the villain has demonstrated a whimsical mastery of the form. His flows are sloppy but not clumsy. His beats are simple but not boring. His lyrics are absurd, but delightfully so, evading the tiresome “oh-yeah-here-he-goes-referencing-cereal-agaaaain” vibe most of his impostors (and there are many) emanate. 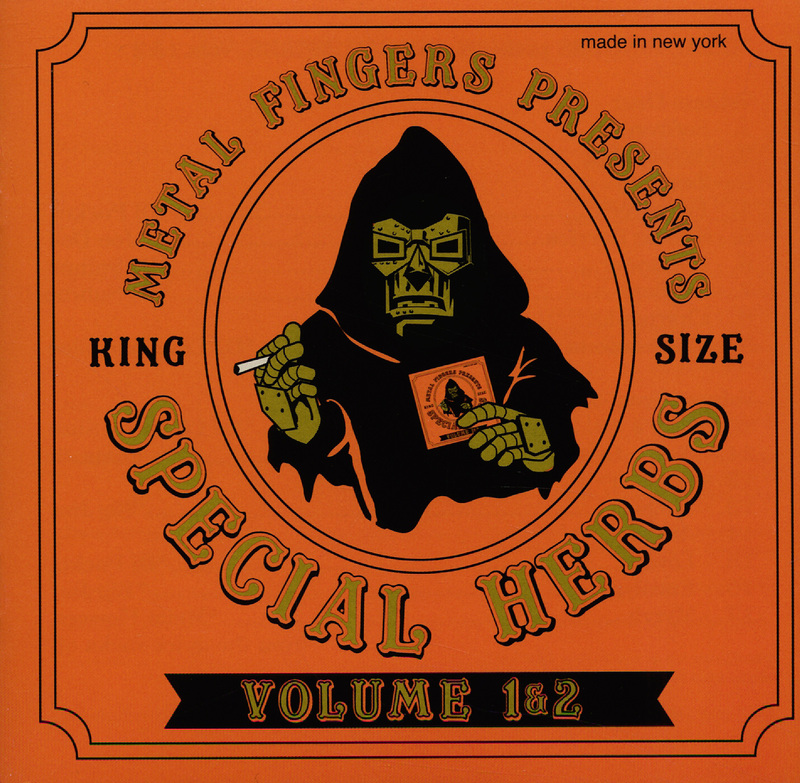 Special Herbs and Spices is a collection of beats crafted by the cold metal hand himself. DOOM, for the most part, uses a soft touch in his production. In some instances, he’ll even just cut out a four bar loop and add some drums (as in the infamous “Black Cow” / “Gas Drawls” / “Calamus Root” case). All of them groove in a very non-offensive “play-this-at-a-cocktail-party-if-you-wanna” kinda way. But they also knock; never have I had a freestyle session that didn’t include someone drunkenly declaring that they wouldn’t rap over anything other than DOOM beats (in one particular memory, a man said “I’M DONE WITH THIS CHIEF KEEF —-! PUT ON “ARROW ROOT” AND I’LL SHOW YOU A LITTLE SUMFIN!” He swiftly embarrassed himself by rapping exceptionally poorly over a beat of his choosing but, still, that someone would so bravely cower behind their favorite DOOM joint speaks to the potency of the villain’s herbs. DOOM himself has rapped over most of these beats, but they aren’t grouped sensically (for instance, OPERATION: DOOMSDAY is not all contained on Volume I of Special Herbs and Spices). You also won’t hear any beats from Viktor Vaughn or DOOM’s collaborative projects, but King Geedorah’s in full effect. Special Herbs is a ten volume series spread across five different disks, each sold separately like collectible Fantastic Four action figures. We’ve got em all.